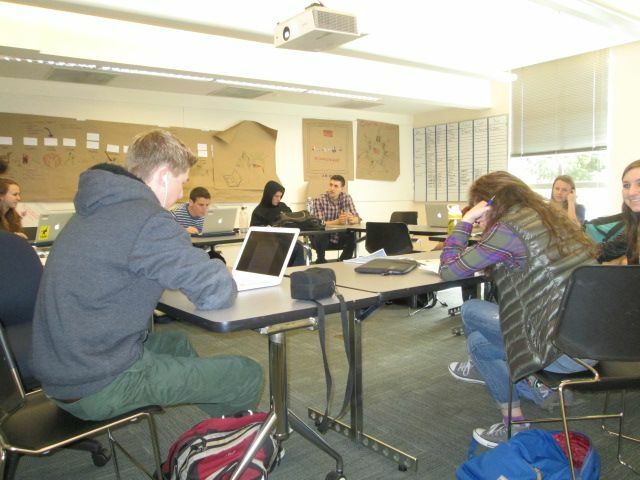 Legend staffers work on their story proposals for the March 2013 production cycle. Photo by Eli Dinkelspiel. Hard-copy letters may be sent to the Legend care of The Urban School, 1563 Page St., San Francisco, CA 94611. Guest opinion columns also may be submitted electronically or in hard copy. We reserve the right to edit for space and language. Signed articles or opinion pieces represent the views of the writer only. 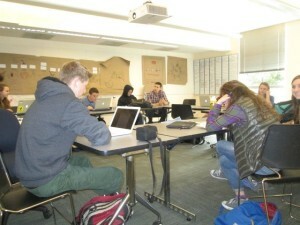 Unsigned editorials reflect a consensus opinion of the newspaper staff.